Is the Young Adult genre losing steam? 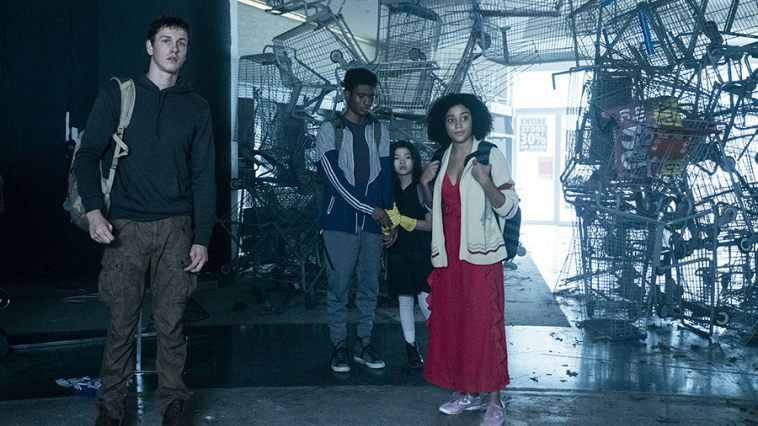 This definitely seems to be the way with the release of dystopian science fiction romp The Darkest Minds, which is out this Friday. The film, based on a book series by Alexandra Bracken and directed by Jennier Yuh Nelson, revolves around an inexplicable virus called IAAN that kills 98% of the children on Earth. Those who survive are gifted with amazing superpowers ranging from super-intelligence to mind control. They are ranked by how harmful they are, ascending from Green, Blue, Gold, Red, to the worst and most rare Orange and rounded up in labour camps. Ruby Daly is an Orange masquerading as a Green in a compound until she is forced to escape and go on the run with a bunch of misfits. However, there are many enemies on the way. The premise with The Darkest Minds is ok, if albeit convoluted. However, despite a good start, the development of it was weak and lifeless. It left some questions that were just too big to ignore. Like why are some sub-sects of kids trained to kill others? How come there aren’t enough oranges and why don’t they manipulate everyone not to be killed? Why did the parents just let the government get away with taking their children away from them? And how much did Bradley Whitford get paid for his two-scene appearance? Amandla Stenberg was great in spite of the material she is given but she is never really given a chance to shine. The Darkest Minds had every chance to produce an endearing film with a strong independent female lead. However, Ruby spends a lot of her time awash with insecurity and self-doubt, seeking solutions and validation from the male characters around her. There’s a sequence involving a red dress that sluices her down to a love interest and is archetypical of these young adult dystopian films; a “rough” lead character is made pretty and the boys fawn over here. The Darkest Minds feels like it is setting itself up for a sequel, finishing open and eager to continue the story. In much the same way a brand-new pilot, the film is hoping that so many people will like it enough for a series of movies set to entertain a particular set of audience members. Sadly, there just isn’t enough to warren two to three more movies. Which is a shame because Amandla Stenburg deserves better. The Darkest Minds is out in cinemas 10th August!